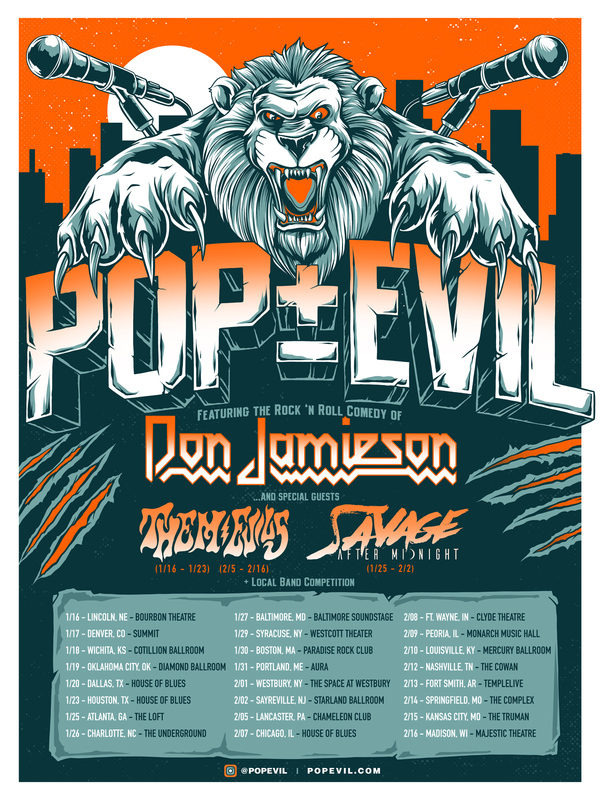 VIP ticket packages and a Bandsintown pre-sale will be available starting Wednesday, October 17 via Pop Evil’s website HERE. Public on sale will be available this Friday, October 19. 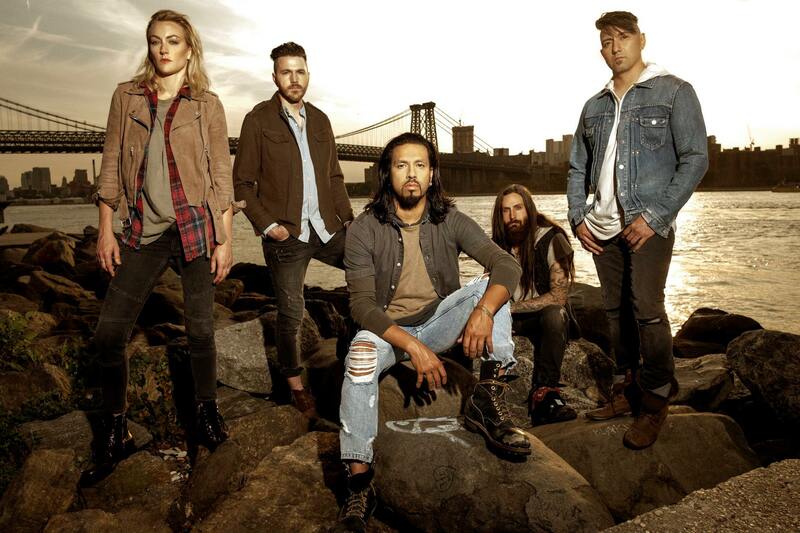 Pop Evil is launching a contest which gives local bands a chance to win a slot on the bill. Bands in each city can submit an original cover of Pop Evil’s latest single, “Be Legendary” and be in the running. 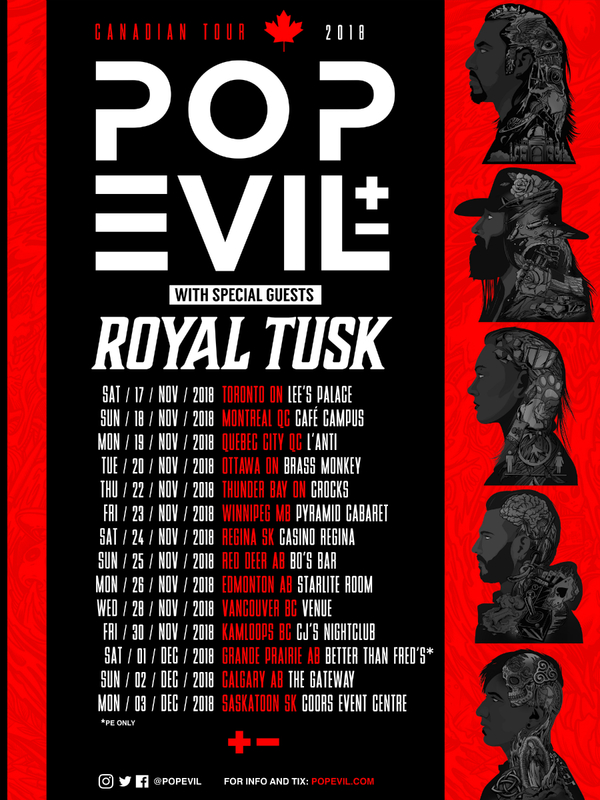 The contest begins in November – stay tuned on Pop Evil’s social media pages for more info. The band debuted a stunning new music video for their track, “A Crime To Remember” just a few months ago. Directed by Columbia Tatone, who also directed the band’s last two videos, “Waking Lions” and “Colors Bleed,” it was the third music video installment we’d seen from the band’s most recent self-titled LP. The video beautifully defined the core message of the song, which is clear and present in the song’s triumphant background vocals: “Are we divided / Are we united?” – also a constant theme throughout the new LP. The video was in memory of late producer Kato Khandwala who was tragically killed in a motorcycle accident earlier this year in Los Angeles. Kato had produced countless rock albums including the most recent Pop Evil LP. 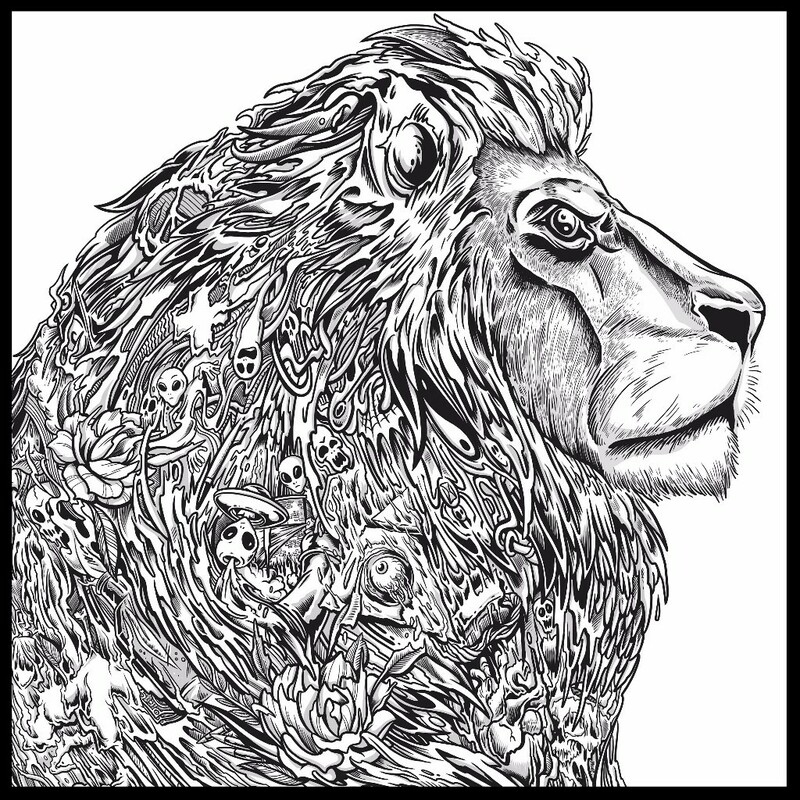 In March of this year Pop Evil’s single “Waking Lions” landed at #1 this on the Mediabase Active Rock airplay chart in the U.S. “Waking Lions” reached #1 after 20 weeks on the chart and is in the position of being one of the most spun songs at Rock Radio in 2018. “Waking Lions” is the band’s fifth #1 single with the previous four being “Footsteps,” (2015) “Torn to Pieces,” (2014) “Deal With the Devil,” (2013) and “Trenches,” (2013).